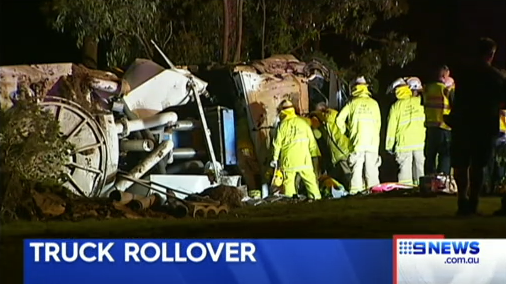 A truck has veered off the road, rolled and slammed into a tree on the Gold Coast. The driver was trapped in the vehicle at Yatala for more than an hour until emergency services could free him. The 38-year-old suffered head and chest injuries and was taken to hospital in a stable condition.